Are you in search of a therapist? If ‘yes’ then make sure to avoid mistakes mentioned below while choosing a therapist. Most of people choose a therapist without doing any research and this is where they go wrong. Avoid making decisions without doing proper research from your side to avoid unnecessary problems in future. Do not go with the public talk blindly. Take your time and check the patient reviews of different therapists available online. This will help you to get a better idea about the different therapists who are practicing in your area. Speak with different counselors to understand their treatment process. Check with yourself whether you are comfortable with the therapist or not. If you feel that you are not comfortable with the therapist then go ahead and search for another therapist. If you are not good at making decisions then it is better to take one of your best friends along with you while searching for a good therapist in your area. A good therapist makes you feel comfortable while speaking. They don’t generally force you do anything that you don’t like. They will listen to you with patience and understands your problem. Not checking whether the therapist is a certified professional or not is one common mistake that a lot of people do in general. Hence, you should make sure that you check whether the therapist is certified or not before choosing him/her for your treatment. Speak with the previous patients of different therapists to know their treatment experience. Choosing a therapist without knowing how his/her treatment works is meaningless. Remember that, investing your money and time on the treatment for which there is no guarantee is of no use. Check to what extent your therapist will be able to help you cope up from your problem. Good therapists are those who are open for feedback. Choosing a therapist who is not open for feedback would be waste of your money and time. Hence, you have to make sure that you choose a therapist who is open for feedback and who can admit his/her mistakes openly. A good therapist also keeps their patients details very confidential. Choosing a therapist who does not keep their patients details confidential can create problems for you in future. Choosing a therapist who is not at all energetic is also one common mistake that a lot of people do. Remember that, a good therapist will be very engaging and energetic in general. Approaching a therapist who is frustrated makes no sense. It is better to avoid consulting such therapist. The therapists from Naya Clinics are very popular in Ohio for their treatment. 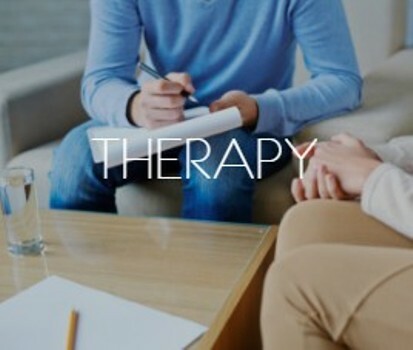 Be it for marriage counseling or depression or any other mental health problem their therapists will provide you the best treatment at a very affordable charges. They also provide E-therapy as well for people who don’t have enough time to visit their clinic. Book an appointment with them today to overcome the challenges in your life easily.